Place: Hertford College, Oxford, UK Haldane Room, Wolfson College, Oxford. OX2 6UD. The Oxford Centre for Life-Writing at Wolfson College is hosting this workshop marking the centenary of the publication of Leonard Woolf’s path-breaking first novel, set in then Ceylon, The Village in the Jungle (1913). 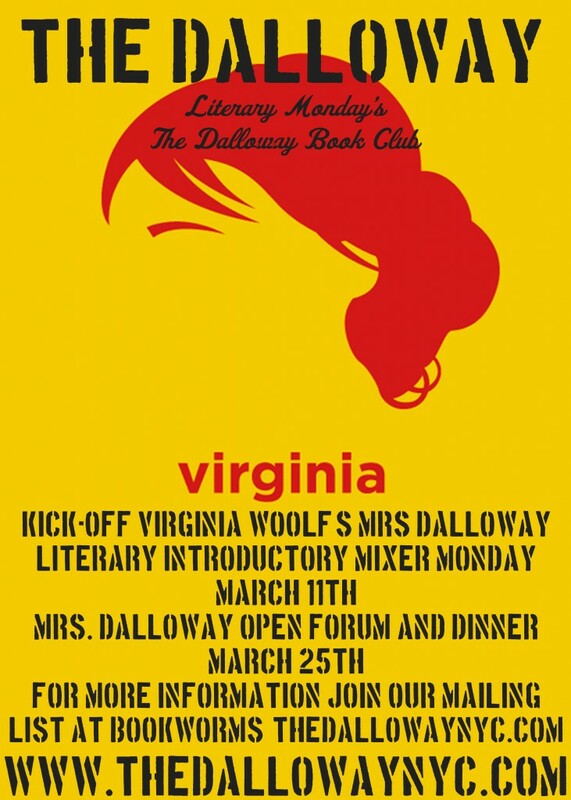 The Dalloway, a restaurant and bar in New York City’s So Ho district, is hosting a Virginia Woolf-themed book club, centering on the Modernist author’s work. Get the details about the conference and the call for papers. Based on the acclaimed novel by Susan Sellers, Elizabeth Wright’s innovative new play is a moving, poetic and powerful story about the remarkable sisters, novelist Virginia Woolf and artist Vanessa Bell. Get more details. As part of the 2013 Gaurav Gopalan Reading Series, Sarah Ruhl’s adaptation of Virginia Woolf’s novel Orlandoby Sarah Ruhl, will be on stage Wednesday, April 17, at 8 p.m. at Artisphere, 1101 Wilson Boulevard, in Arlington, Virginia. 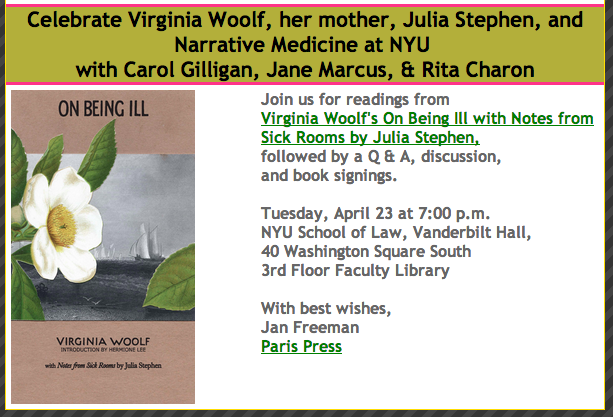 Date: April 23 at 7 p.m. 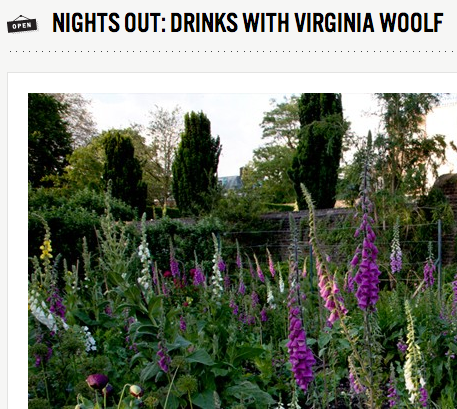 The first meeting of the Leonard Woolf Society is set for May 24, 2013, at Room G37, Senate House, Malet St., WC1, London. The time and theme will be announced later, according to organizers. A Knife in the Whale, a play writtenb by Liz Jardine-Smith and directed by Dominique Gerrard, explores the links between Virginia Woolf’s creativity and her mental state. 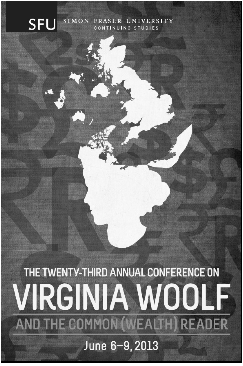 The conference topic encompasses Woolf’s interactions with/influence on Commonwealth writers, the issues of “common” wealth, and discussions of wealth and gender, colonialism and gender, imperialism, politics, and a host of other related topics such as reading Woolf as a member of the Commonwealth. The conference will take place at the Coast Plaza Hotel and Suites at 1763 Comox Street in Vancouver, which is only steps away from the Pacific Ocean, Vancouver’s famed seawall, and English Bay beach. 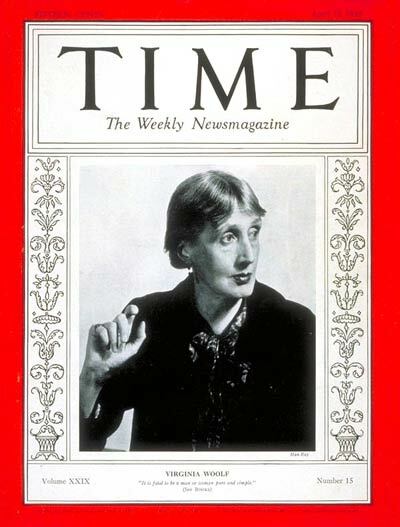 The Women’s History Group in association with the Literary London Reading Group warmly invite you to join us on a literature walk on 16 June celebrating the 90th anniversary of the day Clarissa Dalloway plunged into London. 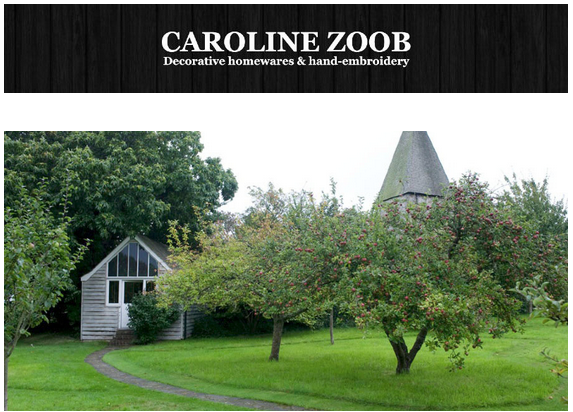 Spend a day with textile designer and embroiderer Caroline Zoob, making a framed picture using vintage textiles and embroidery, inspired by the beautiful garden at Monk’s House on Wednesday, Sept. 4, 11 a.m. – 5 p.m. This season, Monk’s House is holding a number of events and workshops and a series of summer lectures for the first time. Bookings for all events can be made by telephoning 01273 474760 or visiting the shop in Rodmell. Shakespeare’s Sister (or La Vie Materielle will be presented by Irina’s DreamTheatre of France Sept, 20 – Oct. 6 at the Ellen Stewart Theater, 66 East 4th Street, 2nd FL, New York. Read more. “A Cortina da Babá,” based on Woolf’s children’s story Nurse Lugton’s Curtain, will be on stage in London Oct. 5 and 6. Dates: Nov. 15 – Dec. 13 exhibit at Rockford University in Rockford, Ill.
Lottie Cole’s “Bloomsbury Interiors” show on Nov. 19 at Cricket Fine Art, 2 Park Walk, SW10.